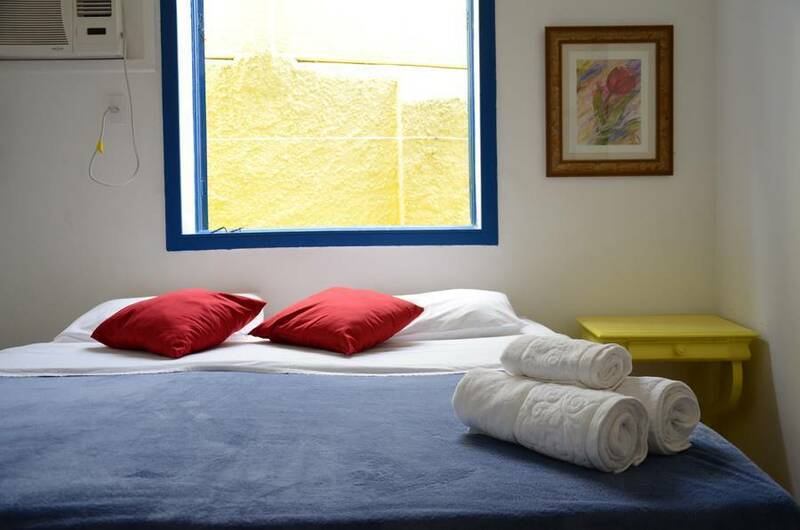 We offer a total of 26 beds divided up into six rooms. There are 3 mixed rooms, 1 female-only room and 2 suites. The kitchen, dining-room and tv room are all common areas and can be used by the guests. We offer an array of channels and a laptop for guests. There is wi-fi throughout the hostel and air conditioning in every room. The bunk beds in the shared rooms all have privacy curtains and their own lights and outlets. Breakfast is included and comes with our home-made bread, don't miss it! There is 24h security, a camera surveillance system and lockers in every room (we don't provide locks). We are located in a historical neighborhood just 500 meters from UFF (Universidade Federal Fluminense), 500 meters from the MAC (Museu de Arte Contemporânea) and the beach is just down the street. There is easy access by bus (47, 47A) and downtown Niterói is just minutes away. We believe in making every guest feel as if they were at home, providing great service at an affordable price and in a great location. Come see for yourself! Every room has air conditioning, wi-fi, lockers, bunk beds include privacy curtains and personal lights and plugs. Cross the street when you are in front of the ferry and get to the middle lane to your right. You'll see a big bus stop with green and red buses. You'll be able to catch 47 and 47A here.